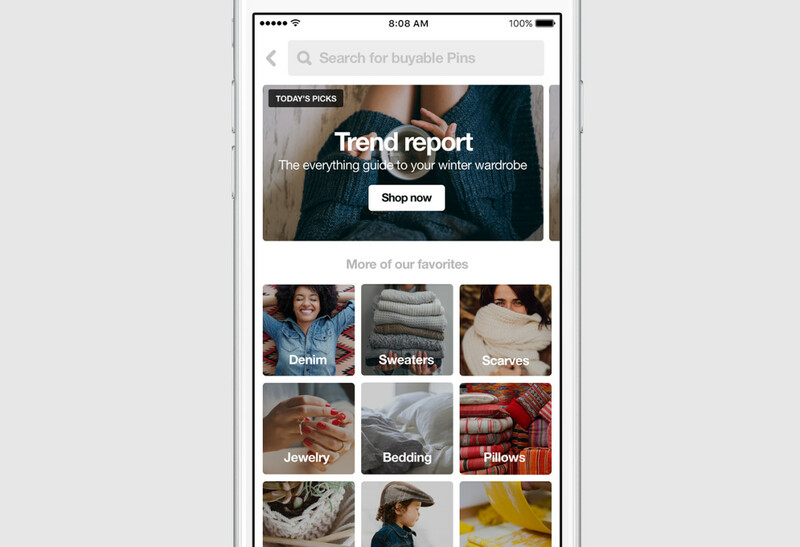 After rolling out buyable pins over the summer to help monetize its platform, Pinterest is announcing an all-new Pinterest Shop to amass trending items. The shop features new collections every day, and the listings are picked by Pinterest editors. The company says these include items from larger chains like Bloomingdales, but will feature smaller outlets as well. To try it out, simply head to your app on mobile (it’s not available on desktops yet), and click on the ‘explore’ icon – the catalog will be accessible under the Shop section. The other bit of news is that buyable pins are now coming to Android, joining iOS. As with the overall shop, Web users will still have to wait a bit longer before they can buy items off of Pinterest. Buyable pins are a big move towards helping Pinterst earn some money from its service; they help remove some extra steps between seeing something you like and actually buying it. The shop takes the concept further, as now you can actually go to Pinterest specifically for the purpose of shopping, rather than just stumbling across something you might want to buy. And while we don’t expect Pinterest to be the next Amazon, it’ll be interesting to see how prominent its shopping chops will eventually become.